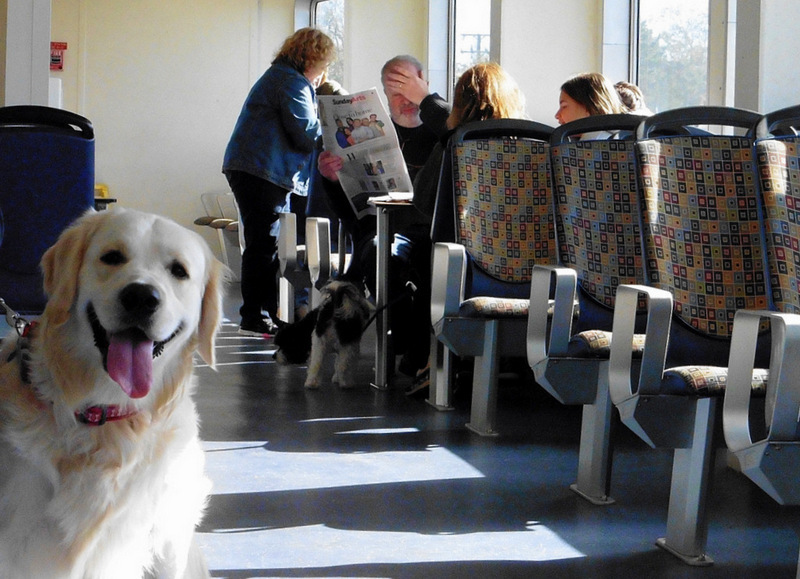 Our favorite travel season is upon us. The summer heat has ebbed, the kids are back in school, traffic is a bit more tolerable, and most lodgings are dropping their prices in anticipation of winter. Best of all, the leaves are getting ready to put on their autumnal extravaganza of color. This is an exceptionally rewarding time to visit New England. 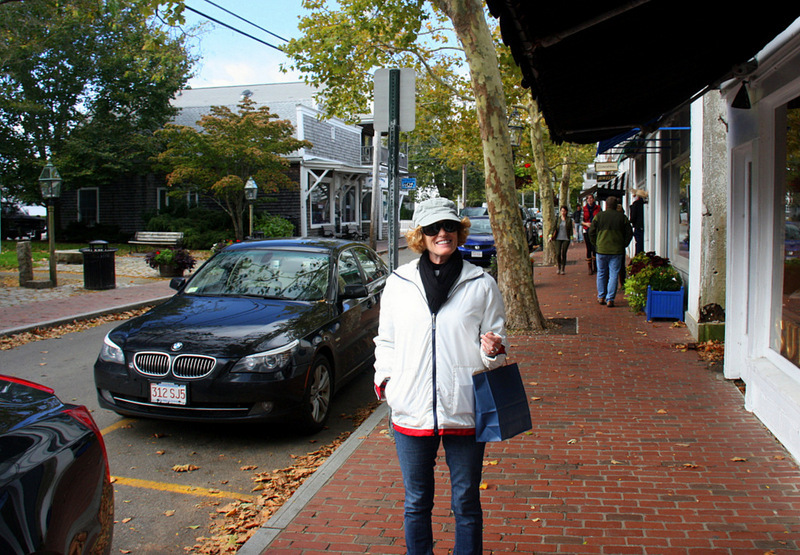 We are particularly fond of everything Cape Cod in the fall. There is a certain serenity in the air as October ushers in the cool breezes off the bay. 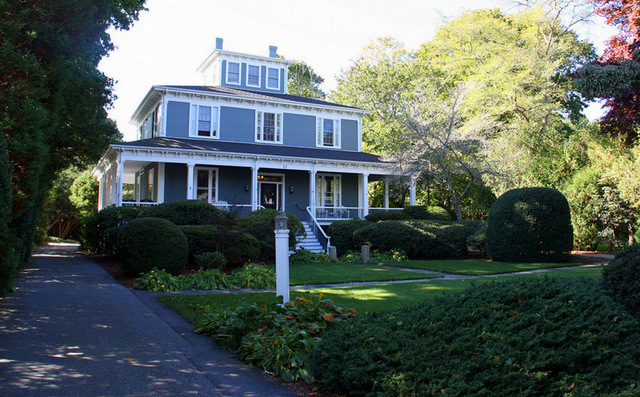 Last fall we stayed at two magnificent B&Bs in the village of Falmouth, Massachusetts. 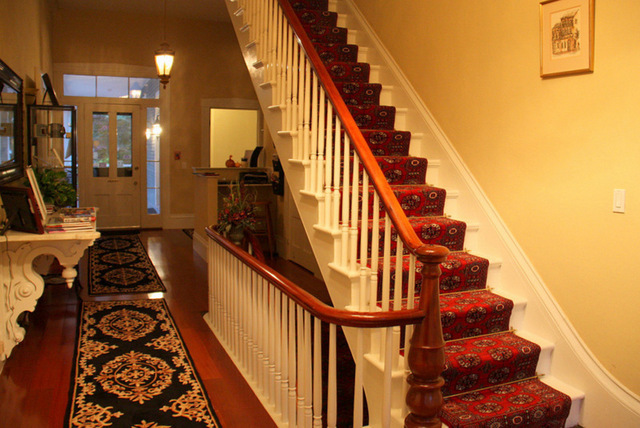 In an earlier story we discussed the town of Falmouth, and the first B&B, today we want to tell you about The Captain’s Manor Inn, a fabulous inn with a maritime history. 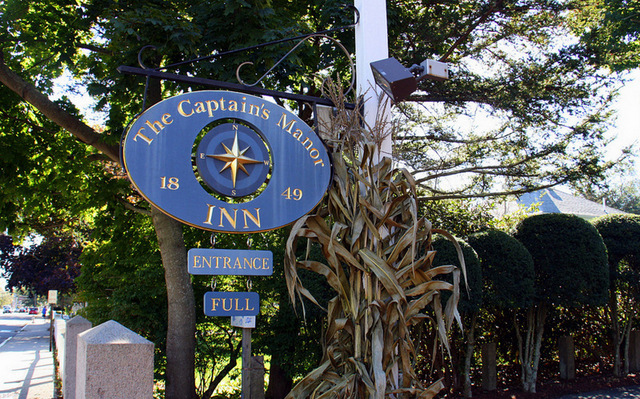 The Captain’s Manor Inn was the first summer home built in Falmouth, Massachusetts in the year 1849. It is hard to think of it as a summer house because from the very beginning it was a stately manor. The architecture was uncommon for the Cape. It was the idea of Captain Albert Nye, who built the manor as a gift for his bride Ms. Henrietta Forbes of New Orleans. Ah, that explains the Southern Plantation style of this grand house. In 1872 the house was sold to a retired whaling ship master by the name of Captain John Robinson Lawrence. The Captain’s son was a horticulturist of note, and it is apparent that he plied his trade in the house’s garden, which boasts several unusual trees. The son’s name was H.V. Lawrence and he lived in the house while managing the first florist shop on the Cape. 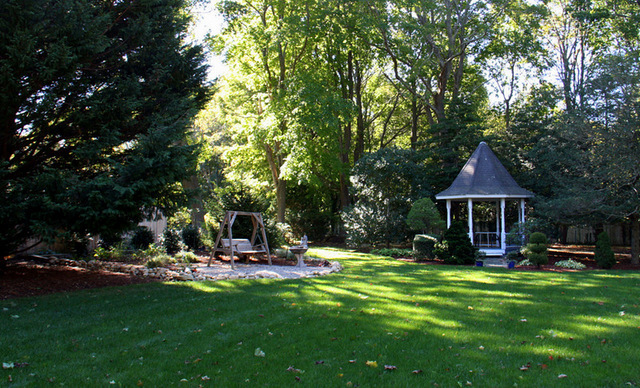 As you walk the grounds of the Captain’s Manor Inn, it is easy to imagine the pleasant life that the younger Mr. Lawrence enjoyed for so many years as he observed the changing face of his quiet Cape Cod village. He passes away in 1952, at the age of 92. His passing was mourned by the entire citizenry of Falmouth. 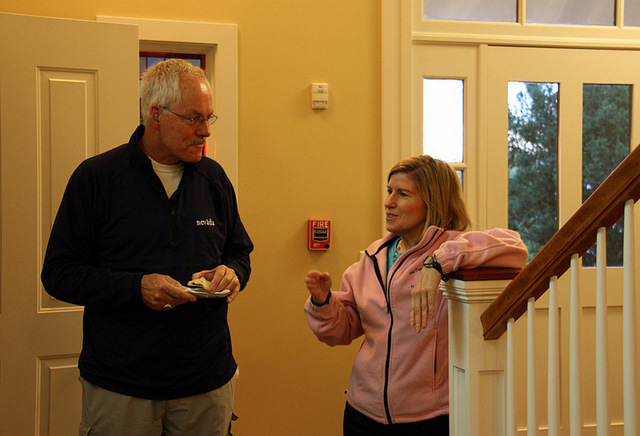 Fast forward to the 21st century, when Kevin and Trish Robinson purchased and upgraded the house to its current majestic state. 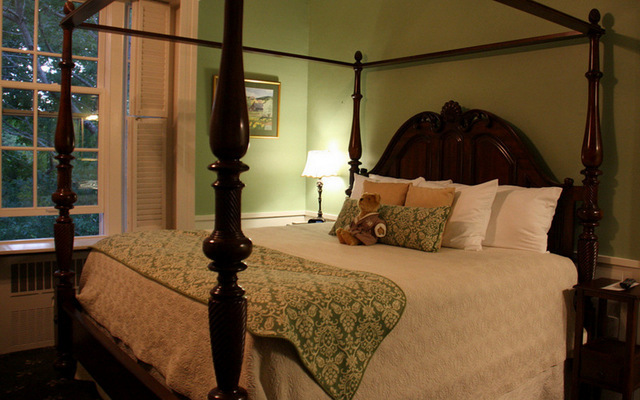 The inn has the original plantation style windows with shutters, which allow natural light and subtle shadows to dominate the rooms. 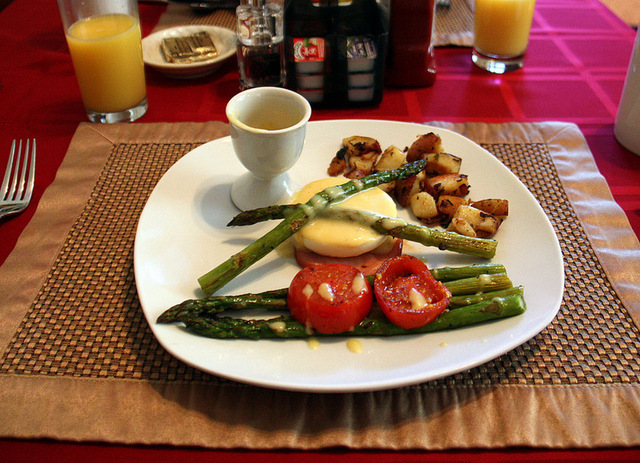 The Captain’s Manor Inn is a bed and breakfast of distinction. 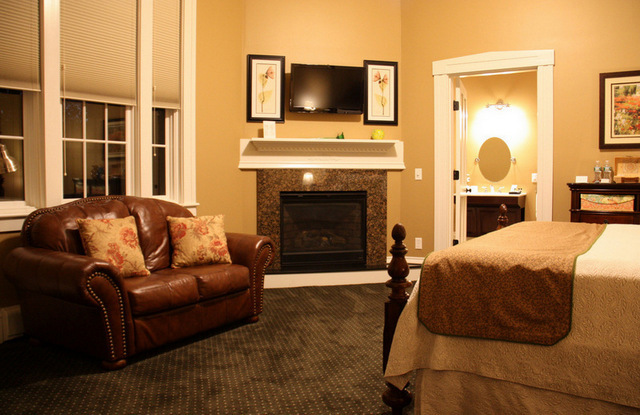 The inn is spotlessly clean and elegant. 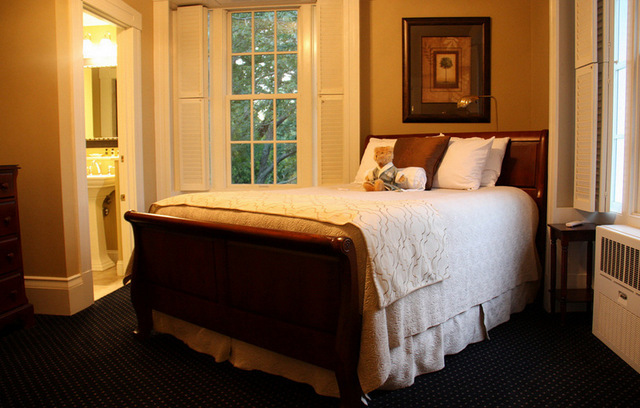 Roomier than most B&Bs, it’s a place where you can stretch out and not feel contained. There are eight sleeping rooms to dream in, and all are furnished with period antiques and sumptuous beds with superbly soft linens. 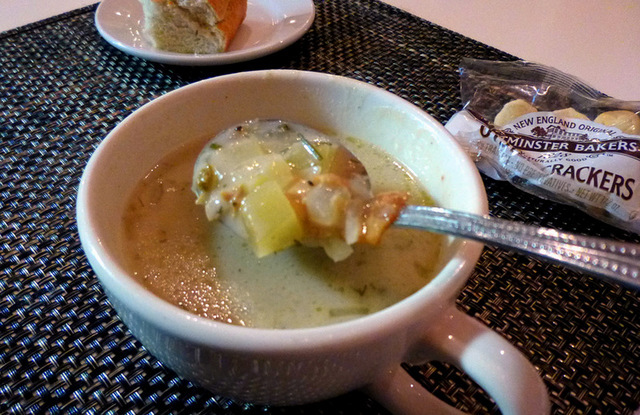 The inn is complete with everything you would expect from a best of class inn. 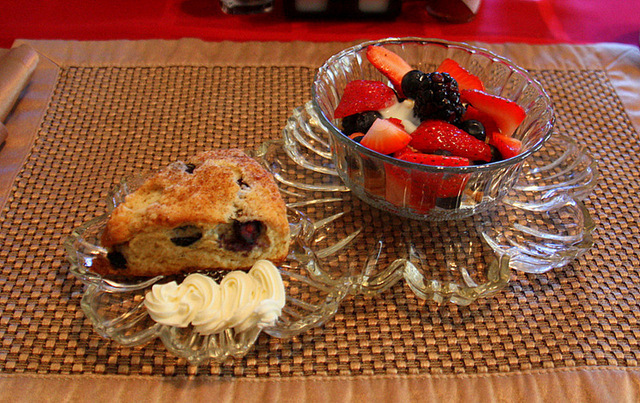 When we arrived, innkeeper Trish Robinson was ready with a delectable freshly baked cookie and brewed coffee. After our nourishment we toured the inn and its extensive grounds. Notably, there is an elevator for folks with disabilities that bring guests from the ample off street parking area to the house. House amenities include a full (delicious) breakfast, free Wi-Fi, private baths, down filled duvet, individual room air conditioning and heat controls, ceiling fan, iPhone/iPod compatible clock radio, LCD cable TV, spa robes, two bottles spring water, Gilchrist and Soames bath amenities, hairdryer, iron and board, and plush cotton towels. Nice! 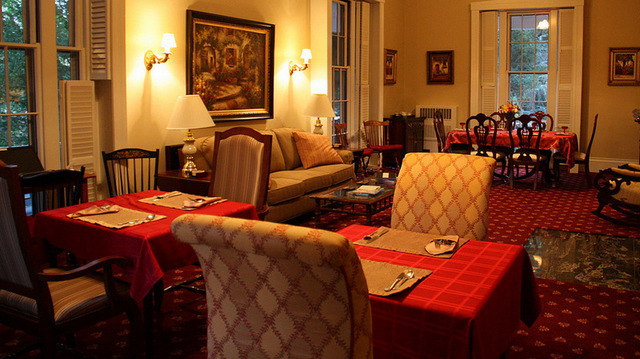 The inn is listed in the National Registry of Historic Places. 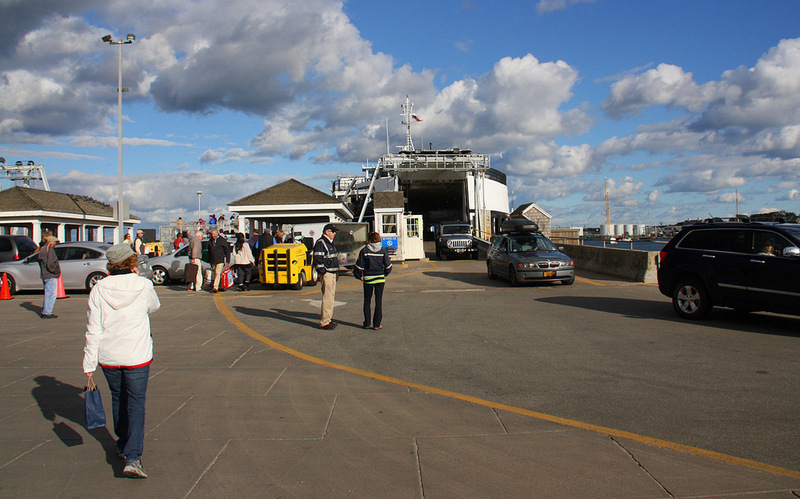 Woods Hole is a short drive from downtown Falmouth, and the location of the ferry services to Martha’s Vineyard. 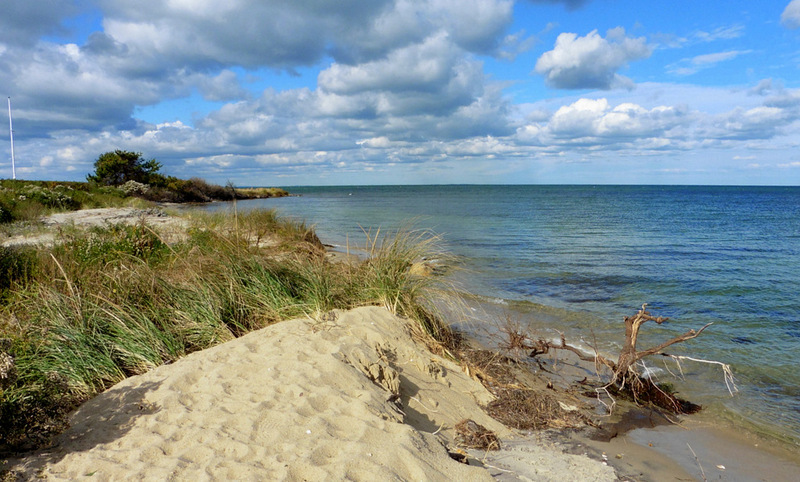 Martha’s Vineyard is a must see in autumn, but that’s a story for another time. Our late-afternoon ferry from Martha’s Vineyard arrived back in Woods Hole just in time for dinner. 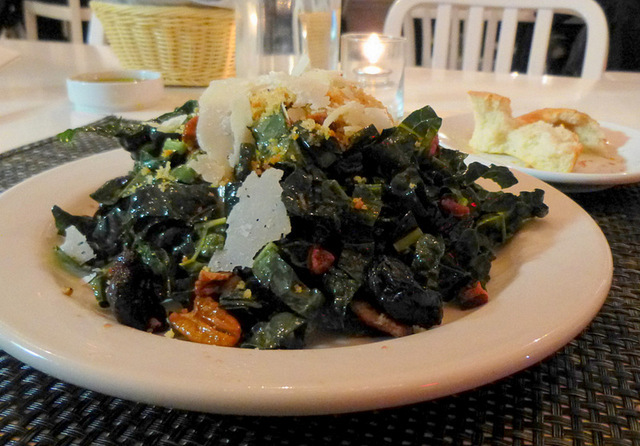 The Quicks Hole Tavern is just steps from the ferry building and provided us with a taste of New England cooking at its best. 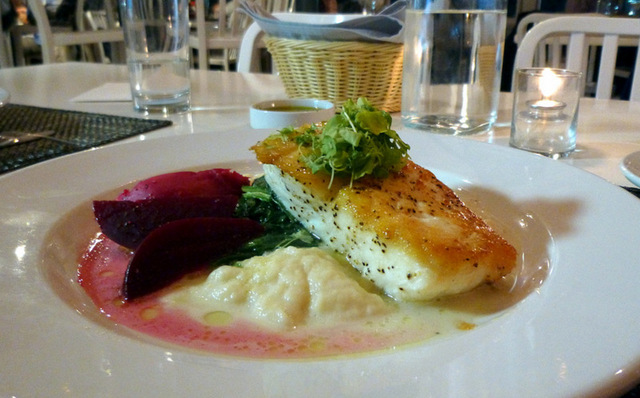 followed by some of the best Pan Seared Halibut we have tasted. Yummy! Worth a try when you are in the neighborhood. 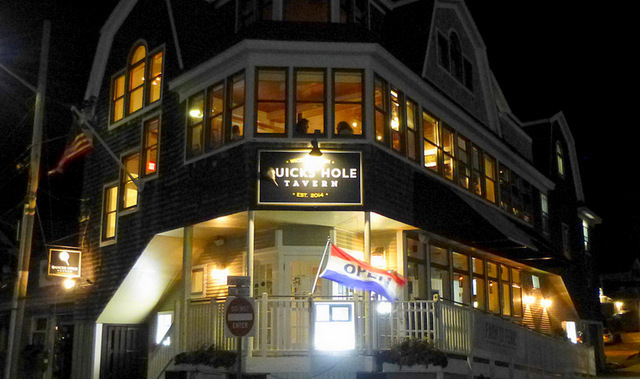 The Quicks Hole Tavern website is *here*.